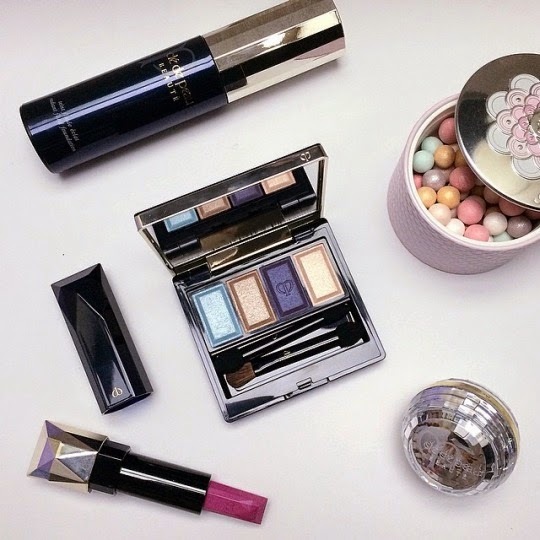 Just a very quic post showing you swatches of some items from the gorgeous Cle de Peau Beaute Spring/Summer 2015 makeup collection. The colors are cool, iridescent, soft - and there are 2 new eye palettes (SGD80 for the 6g refills); 309, and 310. And the collection also includes 3 new lip colors (SGD70 for refills); 112, 211, 313. 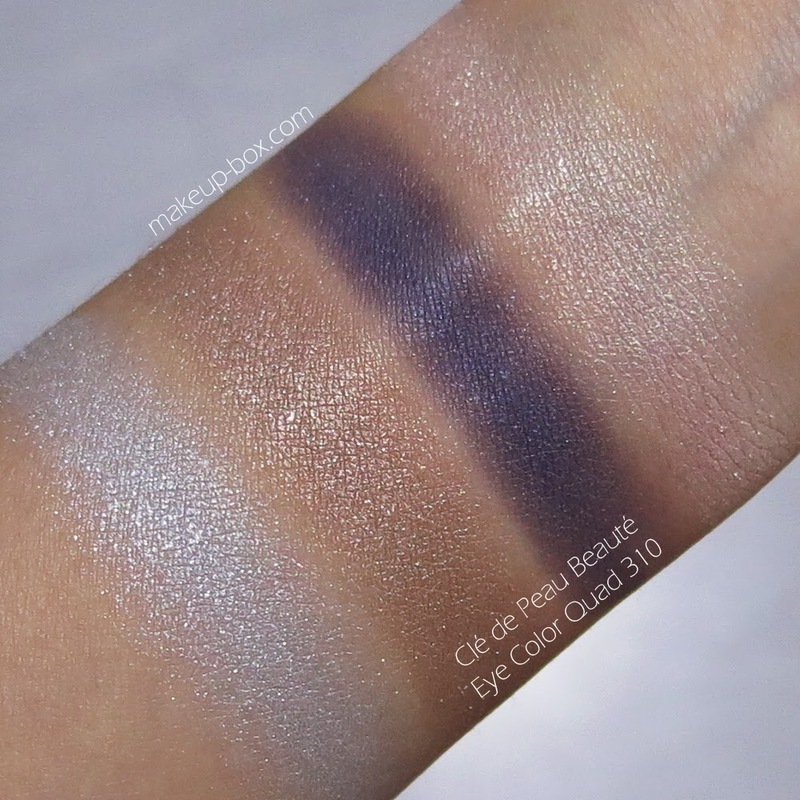 The ones I received for review are swatched here. 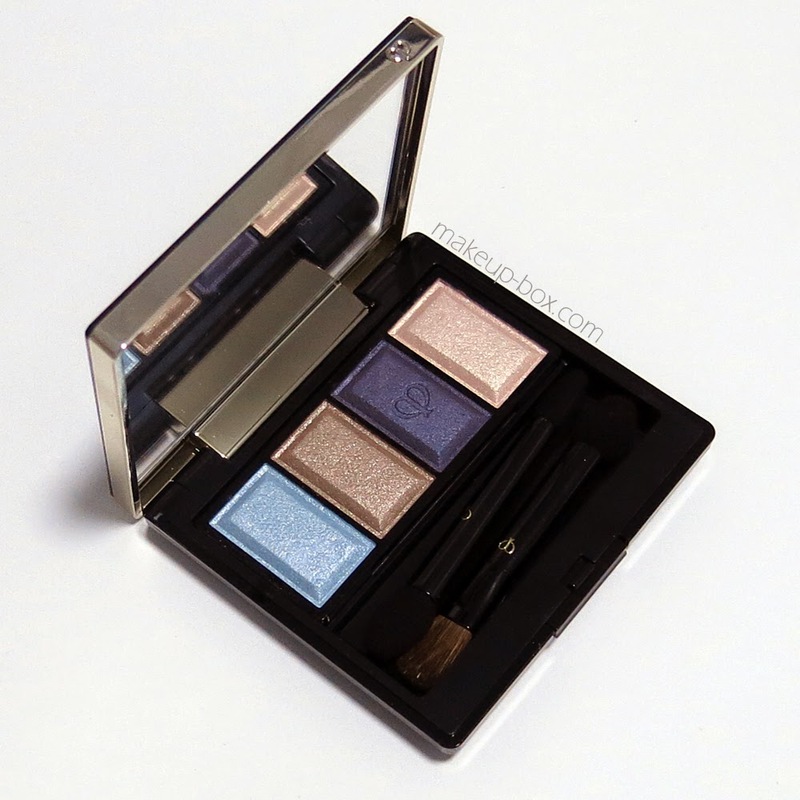 The eye palette I really love. Even though I must say I'm not much of a blue eyeshadow person. Just the way they've paired an icy gossamer blue with a deep smoky navy and then added 2 beautiful neutral shades makes everything infinitely more classy and wearable. Nothing garish or loud about these colors. In fact you can do a rather neutral look by wearing the neutrals on your lids, the pale blue just in your inner tear-duct area, and then the navy as a liner. Or you can flip it around and use the blues on the lids if you prefer a less subtle look, and just use the neutrals in the socket and on the brow bones. Either way, the texture is typical of classic Japanese-luxury makeup; very silky, translucent and blendable. 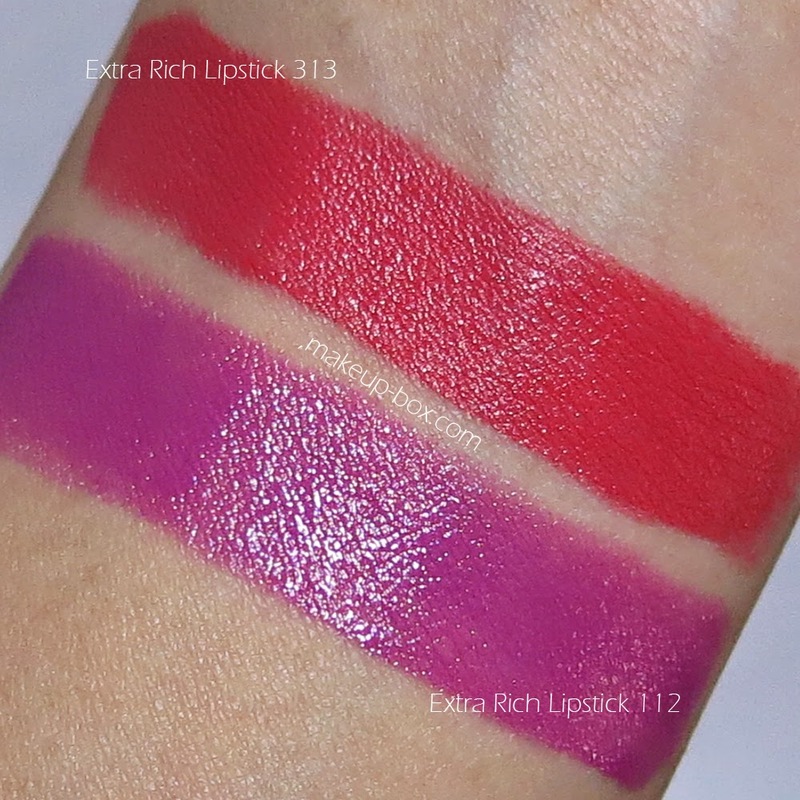 The lipsticks are all part of the same line (Extra Rich), but the textures of the 2 I tried are pretty different when worn. 313 is a lovely rich coral in a satin texture, with a medium sheen and moderate opacity. You do need to either prep your lips properly with a liner or primer, or be careful to really build up the color a bit, or it can look slightly patchy up-close. 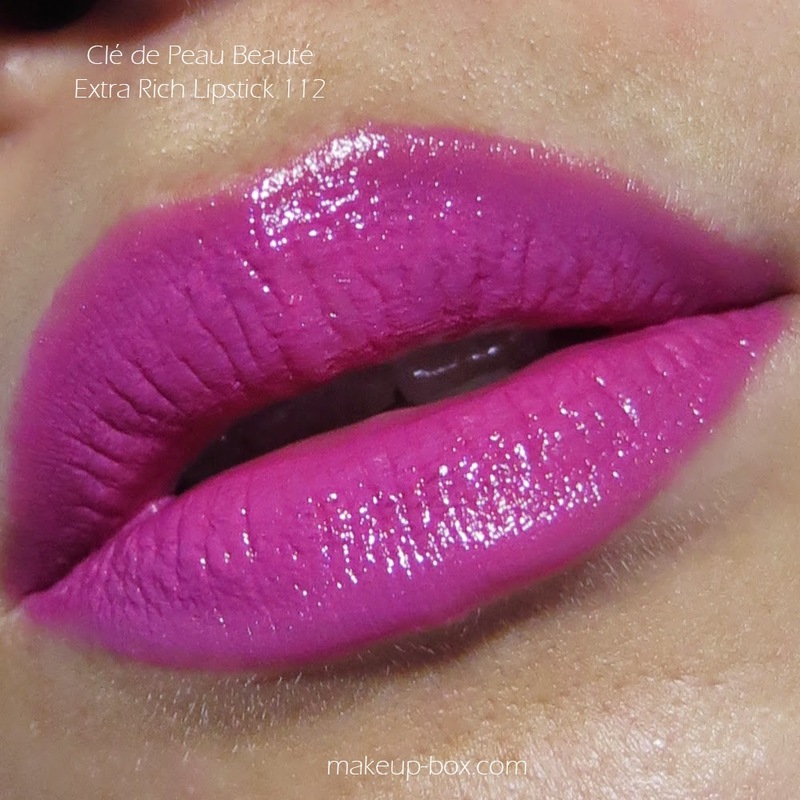 112 on the other hand, is a beautiful deep mauve pink with a semi-sheer glossy texture, although it can be built up almost to opacity, like in the image below. It looks dark in the tube but goes on much softer and more wearable. I can't tell you which items to focus on. I actually like everyone of these that I've tried. What I will say though - if you must pick one - is that lipsticks do tend to be quite overpriced in Sg and for most people $70 is a astonishing amount to pay for a lipstick refill, so the quad is a worthier investment since you don't need to bring it out for touchups and $80 for 6g makes it cheaper than MAC. Then again - if you love the lipsticks, I would invest in the mauve. 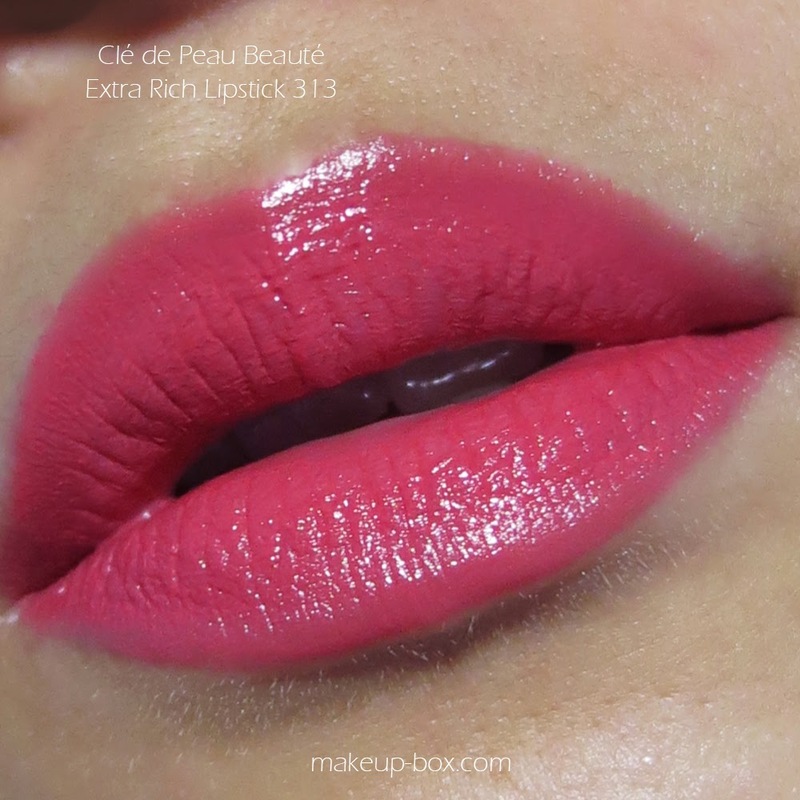 It's more even in texture and a far harder color to dupe with cheaper brands.